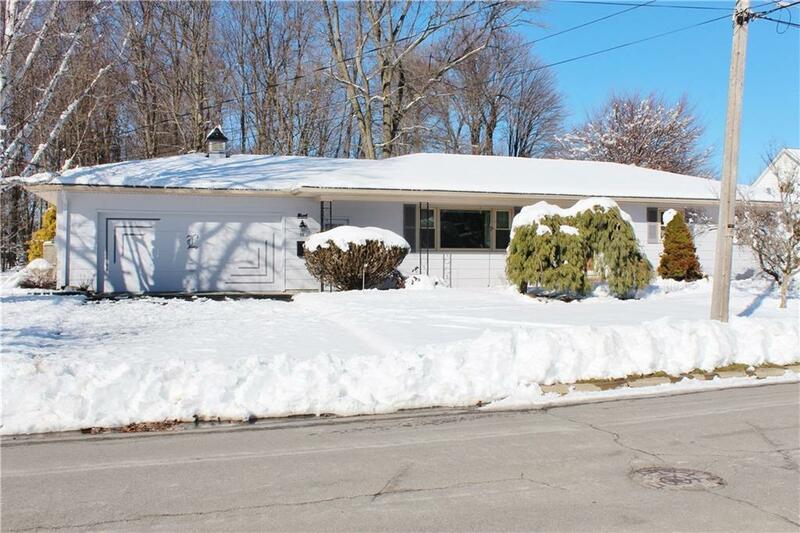 Well maintained 3 bedroom 2 bath ranch home with open floorplan and finished basement. This home is move-in ready and features custom kitchen cabinetry, a large living room, and lots of storage. The finished basement has a family room, full bath and additional room that could potentially be an additional bedroom with egress modifications. There is also a large storage room, laundry, and lots more storage. A high end Weil McLain hot water, zoned baseboard heating system and central air conditioning provide comfort inside, and a large deck with awning faces the extra large wooded lot and storage building to enjoy outside. From the cupola with weather vane over the garage to the comfortable interior to the two extra lots, you'll love everything about this home.